The GIS & Geomatics industry is well represented on LinkedIn as is evident by the abundance of professionals (including students, private industry and all levels of Government) and specialized networking groups on LinkedIn, from big companies such as Esri to organizations like GANS. The Canadian GIS & Geomatics group for example has grown to over 3000+ members in the past year, and contains a wide range of active geomatics people from Newfoundland to British Columbia who have a wide range of backgrounds, knowledge and experience (GIS, Cartography, Remote Sensing, LIDAR, Surveying etc.). 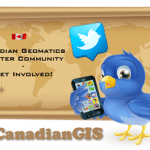 However that was not the main point of this post today and am sure that most of our readers are already aware of it and probably have joined the free Canadian dedicated LinkedIn networking group so will not spend too much time plugging the free Canadian Geomatics group. Instead I wanted to focus on GIS & Geomatics Jobs on LinkedIn. If you do a search for GIS or Geomatics jobs on LinkedIn you may discover that there are several great groups out there that are career focused in GIS. One of my searches for GIS jobs resulted in over 50 different groups ranging from broad groups with no geographic regions to ones that are more focused. And most of these allow companies to post information about jobs, job seekers post that they are interested in opportunities etc. However much like the rest of web itself, it is often harder to find ones that focus on jobs in Canada and instead you will find hundreds of jobs that are not much use to you. So today I wanted to share news about a new group on LinkedIn that was brought to my attention yesterday; The “GIS & Geomatics Jobs in Canada” LinkedIn group. A new career focused group with a mandate to provide a central go-to location where anybody can go to find Canadian based Geomatics related jobs or people that are actively seeking Canadian jobs. 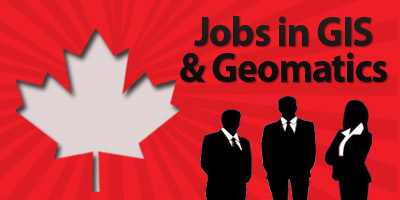 So if you are currently in the geomatics career hunt or looking for good candidates to fill Canadian opportunities then I would recommend that you check out this new Canadian LinkedIn Jobs group.